An uplifting sweet Peach fragrance. Low melt formula. 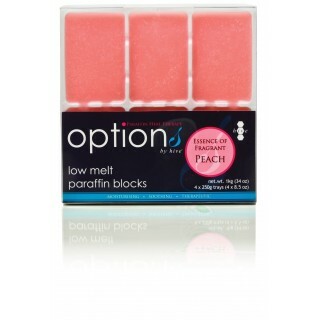 Paraffin Wax blocks provide an easy method of decanting required amount of wax prior to treatments. 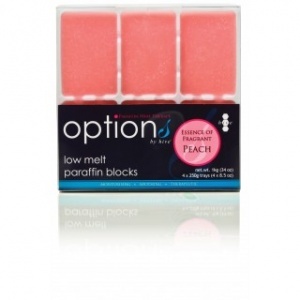 These blocks are ideal for inserting into inner containers or directly into paraffin baths.